Stylish Star Allu Arjun and golden hand producer Dil Raju are coming together for another crazy project. Expectations will hit the roof as their movies Arya, Parugu, Duvvada Jagannadham shook the box office and Arya, Parugu set a new trend back then. Now Sriram Venu who bagged super success with his recent movie MCA will direct this project under Sri Venkateswara Creations banner. Makers finalized a crazy title for this project. “ICON_Kanabadutaledhu”. 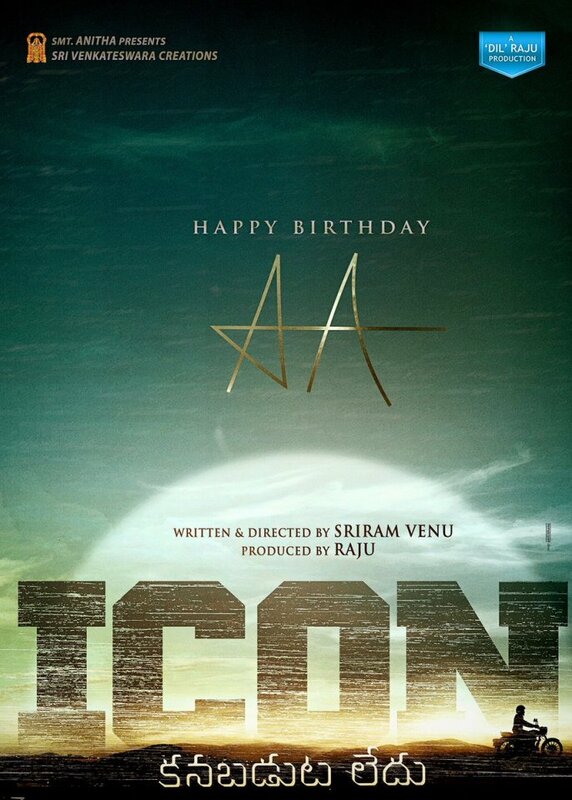 Today Dil Raju announced this project as a treat to Allu Arjun fans as today is his birthday and he wished Southern Star a very Happy Birthday.